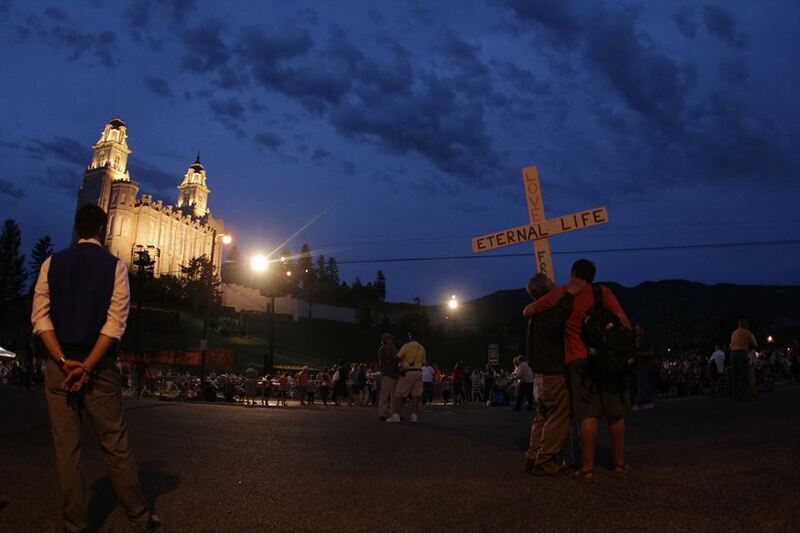 Evangelical Christians Praying for Mormons at the Manti Miracle Pageant in 2016. Nowadays, I tend to peruse and engage in many online forums and discussion groups geared towards Evangelicals and Latter-day Saints. I actively read and study from various biblical commentaries, historical works, and books on theology, apologetics, and Church history (both churches included). I have been able to have many acquaintances from both sides of the divide that I am happy to call “friend”, one being Fred Anson, the founder, and publisher of Beggar’s Bread – who graciously invited me to write this open letter to Evangelicals. I understand that I am the first active True Believing Mormon (or “TBM” as some jokingly call it) to write for Beggar’s Bread. I am happy to be, what is hopefully, a trendsetter here since I’m a firm advocate for meaningful and positive cross-denominational interactions. It is my hope that I will be able to squeeze in a few more appearances here before I depart on my mission in the coming months after I complete some schooling at Arizona State University (ASU). And in saying so, I should include that my message today is not at all antithetical for my plans on serving a full-time mission for the Church of Jesus Christ of Latter-day Saints; despite what the click-bait title might have you think! No, I wish instead to offer some serious reflection and advice I believe will be valuable to Evangelicals in their fellowshipping with members of my own faith community. I often find that too often what could have been substantial discussions, real relationships, and even legitimate spiritual experiences are traded through an expectation of quick conversions with shallow conversations and insincere outreach. Thus I will be answering the following question I consider to be vital if any Evangelical wishes to engage with their Latter-day Saint friends: “How would I, as a Mormon, like to be preached to?” and provide practical suggestions for facilitating dialogue between adherents of both respective faith groups. The ability to clearly communicate our demands, emotions, questions, statements, conjecture and abstract concepts is a constant task required by all members of society. In conveying those ideas with enough coherence and precision so as to effectively convey those same ideas into the minds of those whom we are speaking with, most find themselves at a loss for words. This can often come with great difficulty when we find ourselves unable to express ourselves at times, or else subject ourselves and other to a series of unfortunate events due to a simple misunderstanding or miscommunication. Now consider the difficulty when speaking completely different languages and the imagery of the confusion at the Tower of Babel is sure to come to mind., most involved in interfaith dialogue enter into such speaking the same actual language, however that doesn’t mean that they will speak the same theological or religious language. The odds are, both parties will be walking into the discussion carrying different baggage whether that be preconceived ideas about the other, presuppositions about their own faith, past spiritual experiences, and a different vocabulary to communicate such. This is what I refer to as “the Language Barrier of Faith”, and it is an individual’s responsibility to overcome it if they wish to speak with a person of another worldview. I am no stranger to the confusion and frustration that can come when two or more well-meaning people, when engaging in active discussion about their beliefs, fail to speak to each other in clearly defined and mutually understood terms. Unfortunately, many of the conversations held between Mormons and their Evangelical neighbors go along these same lines. Let’s take Portuguese and Spanish for example: did you know that it is easier for someone who speaks only Portuguese to understand someone speaking only Spanish, than for a Spanish-speaking individual to understand a native of Portugal or Brazil? The two languages are strikingly similar in a variety of ways and are close relatives within the same Romance language family, however, it is noticeably easier for a native of one to understand the other, and noticeably more difficult when the positions are switched. Why is this? Simply put, Portuguese itself is a more complex relative of Spanish with a high amount of possible variation in its verb, noun and adjective endings that prove more challenging for Spanish speakers to pick up on. 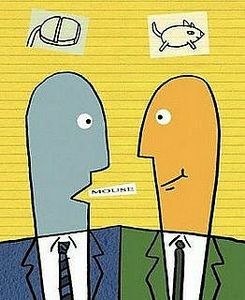 Pronunciation also makes things more challenging as Portuguese have more phonemes (sounds) than Spanish, equipping the natives of that tongue with an early ability to comprehend and “decode” differences in sounds such as nasal and regular verb endings. All in all, the two languages pose a unique situation and challenge for their respective native speakers when wishing to dialogue; exemplifying a concept that I believe to be comparable to Mormons and Evangelicals, and their respective theological languages. It is a common experience for many Evangelicals or Protestants in general that, after speaking with either missionaries or members of the Church of Jesus Christ of Latter-day Saints and presumably hearing a testimony given on the truthfulness of the Restored Gospel of Jesus Christ, they walk away with feelings of surprise and confusion at the apparent similarity of much of what was said in comparison to their own beliefs. This is due to the similar vocabulary held between both Mormons and Evangelicals in matters of scripture, theology, and faith. Words like God, Christ, sin, Atonement, Grace, faith, prayer, repentance, baptism, salvation, heaven, Resurrection, scripture, revelation, and the Holy Spirit, all frequent the standard Mormon religious vernacular as often as they do the Evangelical. Where the confusion comes in though is due to the – at times large – differences in the definitions that are behind such words. As the Church of Jesus Christ of Latter-day Saints historically stems from the Latter Day Saint Movement of 19th Century American Restorationism, it naturally carries with it a multitude of terms, concepts, and practices not at all uncommon within Mainline Protestantism from which many of its early converts were derived from. With its religious vernacular being akin to that of King James English, (the KJV Bible being its official translation) Mormon theological and scriptural phraseology is not too distant from most Evangelicals. It is this similarity with language -mixed with many unique Mormon terms- that can often be perplexing to most other Christians in active discussion with them. On the flip side, apart from more complex and technical Protestant theological terms, Mormons are usually already aware or familiar with much of the Evangelical vernacular, or at least enough to not experience the same confusion as their neighbors. Unfortunately, both groups can and have, at times, come to the theological table with their own share of ignorance, misconceptions, or simplified understanding of the other’s position. Take soteriological views, for example. I have often heard many Mormons describe the Evangelical concept of Sola Gratia (Salvation by Grace Alone) to be one of “Hey man! We are saved! Now let’s party and do whatever we want!” Any informed Latter-day Saint on the subject would now that this is a stark mischaracterization of the true meaning of Grace to Evangelicals. As equally as untrue is the understanding of the Mormon view of salvation from many within the Evangelical crowd as one based entirely on works; in other words, a legalistic system in which individuals must earn their way to heaven by performing the set amount of righteous works. Both views are incorrect and often falsely paint the individuals of the two groups to either be adherents to a cheap and hypocritical form of Christianity, or just a revival of pharisaical believers who are adding a Law unto themselves. How members of both faith traditions might combat this common scenario is first by clearly defining the terms that they are using, a necessity for any philosophical and theological discussion. As both individuals define words like Grace, faith, righteousness, works, salvation etc, they will quickly find that while there are many similarities in the manners and meanings they use such words in, likewise there are many essential differences that can be overlooked during superficial and quick interactions. Hence my admonition to 1) understand the other’s position in depth, 2) familiarize yourself with the unique religious vernacular (terms such as stake center, testimony, baptisms for the dead and others for the Mormon, and terms like communion, imputation, and others for the Evangelical,) and finally be able to actually speak and explain yourself in ways and terms that the other will understand. The Evangelical must learn what is jokingly referred to as “Mormonese”, and likewise, the Mormon must learn to speak like an Evangelical and speak “Christianese”. Often, Evangelicals are astounded when I, as a Mormon, speak as if I myself am an Evangelical. This is due to the fact that I have attended various other Christian churches, including my mother’s own nondenominational church for many years. Likewise, I have gone to multiple Christian summer camps and attended youth Bible study during the same time. Essentially it just reflects the amount of time I have spent reading, studying, interacting with, and immersed in an Evangelical environment. The same rule applies to learning an actual language: the quickest way to learn is by living in that country and immersing yourself with its people! Prerequisite to any informed conversation about a subject is the active study and research of it beforehand. Said research is best accomplished when undertaken by the proper, balanced study of materials coming from a variety of perspectives. 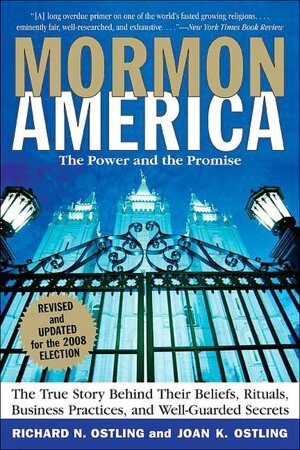 Unfortunately, it is my experience that many of the Evangelicals who often perform direct outreach to Latter-day Saints do so with having only a superficial understanding of Mormon beliefs and teachings, which are often studied only through the lens of polemic and counter-cult materials and tracts. If explanations are given from either source, they are often basic, and lacking in both full comprehension and quick reference to valuable sources, making the end-result varied in clarity and uniformity. This can’t be considered fully the fault of the average Mormon in accidentally misrepresenting or being somewhat ignorant to the full teachings of their Church. It is quite unreasonable to expect the standard member to be a master historian, scriptorian, or theologian, and this can often be met with unmet expectations. This is especially accurate when speaking to missionaries who are presupposed by some to have undergone a similar amount of devotional education as many clergy and pastors from theological seminaries, when in reality they are little more than youth fresh out of high school with a simple testimony of Christ and the Restored Gospel, and a desire to serve and share with others. Thus it is my advice to the Evangelical to read. Read from Latter-day Saint sources. I don’t say this out of my own bias, but rather to speak to the credibility that comes with having an understanding based directly from knowing the same materials and literature that Latter-day Saints will be familiar with: Stated plainly, that means that you need to read the Standard Works first – that is, the Book of Mormon, Doctrine and Covenants, and the Pearl of Great Price. Any Mormon would be more than happy to provide these for you at no cost. Read other important works from Latter-day Saint history as well as modern objective scholarly sources. THEN, if you so wish, move to polemic and counter-cult material so that you can both recognize misleading or inaccurate representations of actual Mormon beliefs as described and taught by Mormons themselves, while also drawing from whatever database of apologetical information and arguments that one might choose to use against Mormonism. E: The Book of Mormon is clearly false as it teaches a false gospel not found in the New Testament. (Galatians 1:6-9) This can be simply seen where in 2nd Nephi 25:23, it teaches a completely different understanding of Grace than found in Ephesians 2:8-9. Mormonism teaches that you are only saved by grace after all you can do, whereas Biblical Christianity teaches that by grace, ye are saved through faith and not of yourselves. Mormons rely on their own merit for salvation and not on the Grace of God. M: Well, you are certainly correct that 2nd Nephi, Galatians, and Ephesians all contain those words, I am just wondering though where you learned that we believe that? Have you ever read the Book of Mormon yourself? There are actually some places which very much agree with you, that we cannot rely on our own merits and works to be saved but that we can only be saved by and through Christ. E: No, I have never read the Book of Mormon. I have only read a few small parts, but I know from what I have seen that it teaches a completely different Gospel than the one taught in the Bible! It is in this moment, that I can say as a Mormon, that any credibility held by the Evangelical is likely to have been lost in the eyes of the average Mormon. This is due to the simple matter of hearing that the mere courtesy of fully researching and reading the sacred scripture recognized by the Latter-day Saint in question, was not taken, and instead of seeing a loving though respectfully disagreeing Christian neighbor, they see a polemical and ignorant antagonist that is misrepresenting their faith. Consider, for example, how you, as an Evangelical, regard atheists who have never read the Bible but feel free to criticize – even condemn it – sight unseen. Now, how could have some extensive and quality research have changed this situation? The Evangelical might have understood the historical, theological, or devotional context and understanding of the Book of Mormon verse in question. They may have studied how Latter-day Saints can and have interpreted the 2nd Nephi 25:23 in various ways, and not have treated it as a scriptural monolith. They might have avoided blanket statements on the Mormon faith at large so as to allow for more diversity in thought, interpretation, and understanding. As a Mormon, I will tell you that Mormon doctrine is not always uniform, in fact on certain issues, the split in thought might be reminiscent to that of the Calvinist-Arminian debate in that the far majority do not consider full agreement or uniformity to be necessary to be a fully believing Mormon in good standing. Bottom-line in what I’m advising is this: before you pull a quote or verse off of a tract, polemical book, or website, at least check the source you are reading to have a solid understanding of context and interpretation. Just as I imagine it would irk an Evangelical if an Atheist quoted Bible verses out of context without regard to how Christians see it, so too does the same occur for Mormons who often find supposed words and teachings insisted down their throats outside of their respective context. “Shock-and-Awe” Approach: This can manifest itself in a variety of forms, the most common of which though lie in either tracts, handouts, or in conversations held with Mormons. The point of this methodology is to so utterly overwhelm one’s opponent with points and arguments fired in such rapid succession so as to disallow for qualitative responses and examination. The individual such a barrage is aimed at has not the time, nor the means to realistically respond to each point in question, and so many either remain unanswered or superficially rebutted. This serves as a quick way to put up walls between the Mormon and the Evangelical, as many would rather keep walking or disengage than be verbally beaten with Bible verses and varied quotations laced with unfamiliar spins. An example of what NOT to do: Tactless Outreach. Tactless Outreach: Frankly, most Mormons aren’t too excited to see demonstrating or proselyting done outside their sacred spaces. At times when a Mormon is seeking to be spiritually uplifted during important cultural and religious occasions, such as during Christmas and Easter pageants, Temple Dedications, attending General Conference, or other large gatherings, the last thing many wish to see or hear are individuals likewise gathered to meet them and just to invalidate their beliefs and experiences, looking to sway them from their faith, and debate them in matters of their religious beliefs. Now, I completely understand just how tempting an opportunity it often is given the higher number of “unsaved” Mormons that one can reach, however, I often don’t find it as efficacious as one might think. Again, the presence of foreign and opposing groups at Mormon sacred spaces and community events often will lead many within the LDS community to just keep walking, and worse: make generalizations about who and what they see that often go uncorrected. 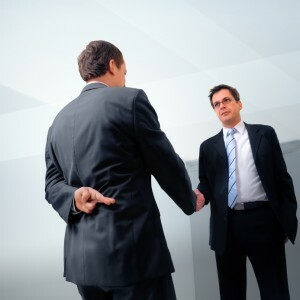 First impressions are everything, and if my first impression as a Mormon is associating Evangelicals with extreme fundamentalist sects of Christianity such as the Westboro Baptist church due to the methodology of their outreach, it would literally take an act of Divine Intervention to take sincere interest. Scripted Discussion, “Gotcha” Discourse, and Condescending Rhetoric: Much of this is common sense although I find these three also worth mentioning as each will likely do more harm than good in opening up the Mormon to further discussion. Just as I -and the LDS Church- strongly advise outgoing missionaries, don’t rely on scripted or rehearsed discussion when talking to individuals about your beliefs, instead have an open, free-flowing, and honest conversation. Be a Disciple of Christ, not a door-to-door vacuum salesman looking to squeeze a sale out of an unsuspecting, and a begrudging, customer. Nothing better idealizes this than 1st Peter 3:15 (NIV) “Always be prepared to give an answer to everyone who asks you to give the reason for the hope that you have. But do this with gentleness and respect.” Give answers from the heart, not a tract; from the Word of God, not a hand-out. Mormons will respect and be more open to you for it, and they will appreciate a genuine conversation. Likewise avoid what I call “gotcha” discourse, or essentially asking leading questions for the sole purpose of entrapping a Mormon into a corner. The scriptures are full of examples of people who carry out questioning and dialogue in this way, and the majority of the time they are not looked favorably upon. It was the Pharisees who sought to entrap and entangle the Savior in his words so that they might condemn Him. My hope is that when outreach to Mormons is undertaken that the focus for the Evangelical might be on winning them to Christ, rather than winning the argument. In fact, there shouldn’t be an argument at all. When anger or irritation becomes the predominant feeling in the conversation, the Mormon will quickly remove themselves from the situation. Mormons refer to this as the “Spirit of Contention” and it is basically a term for when a person or discussion’s focus has shifted to foster an air of hostility, toxicity, disrespect, or otherwise unkindness. You can actively disagree, you can share your lack of acceptance of belief in various aspects of Mormonism, and you can elaborate on concerns you have regarding points of Mormon doctrine and for the salvation of Mormons themselves, all without being contentious. Invalidating Other’s Spiritual Experiences: Personally speaking, I can look back at many profound and life-changing spiritual experiences that I have had thus far in my life. Moments that have formed the basis for my testimony or faith in Jesus being the Risen Savior, of dying for my sins, of rising from the dead, and being the sole Rock in which I place my faith. I have had deep and intimate experiences where I have felt his unwavering and unconditional love for me, which I cannot deny. The majority of these have taken place within the context of Mormonism. Without going into further detail, it amazes me when the born-again experiences of many Evangelicals and the descriptive language they use in retelling them so closely parallel what I have felt. The surprise comes in sharing them with Evangelicals, who then dismiss or invalidate them as not being real or legitimate experiences with Christ. It’s as if some Evangelicals wish to claim a monopoly on experiencing God, Christ, and Truth. Imagine if Paul did that in response to Cornelius’ claims of his own spiritual experiences? (Acts 10) I will further illustrate this through someone who is a great example of such within my own life: Michael Flournoy. “When I was 16 I attended Especially for Youth, a week-long retreat for teenage Latter-day Saints. One night they showed us a video about Christ. In it, people testified that he had changed them. That night the Holy Spirit revealed Jesus to me for the 1st time. I found myself faced with his perfection and holiness, and as a natural byproduct I think, I was also made aware of my own imperfections, and by comparison, my filthiness. This is an experience that I have heard Michael share many times now, both from his days as a Mormon and now as an Evangelical. While I completely validate and recognize Michael’s experience, unfortunately, such has not always been the case. Whether while on his mission, hosting discussions in various Facebook groups, or even debating ex-Mormons such as Lynn Wilder, many have suggested or quickly written off his experience as not being with the “Real Jesus” or just being mere emotions. Or such was said while he was a Mormon. Now that he is an Evangelical, Michael has observed a stark change in the validation that he receives from those same Evangelicals, that his Especially For Youth (EFY) experience was indeed an authentic encounter with the real Jesus reaching out to him. A complete 180-degree turn has taken place in comparison to what used to be said, just because his religious identity has now also changed! My hope is that Evangelicals see the double-standard in this and leave themselves open to recognizing or at least considering that Mormons can (and in my opinion do) have legitimate and real spiritual experiences with the Risen Savior. Just as Evangelicals will find the far majority of Mormons invalidating their own spiritual experiences, my hope is that the same respect towards one’s sacred and life-changing moments might be extended, instead of quickly writing them off as false or trivial. Extending Shallow Fellowship: This is the final point that I will touch on but perhaps may be the most important towards retaining Mormon exposure and interest into Evangelical Christianity. I wish to explain what I mean in making sure to avoid extending shallow fellowship. I say this to describe the outreach or active fellowship towards Mormons that is only extended so long as the topic is regarding Evangelical Christianity and Mormonism. Real fellowship should not be dependent on the interest level of the Mormon in discussing topics of a religious nature, rather it should be extended at all times and be based on feelings of sincere compassion, love, and service. The common (though likely misquoted) saying attributed to St. Francis of Assisi comes to mind in which he says, “Preach the Gospel, and if necessary, use words.” The same is applicable here as an Evangelical can perform the same amount of outreach to Mormons if they provide them with positive examples of discipleship through daily Christ-like living; being witnesses of the active power of His Grace in their own lives. 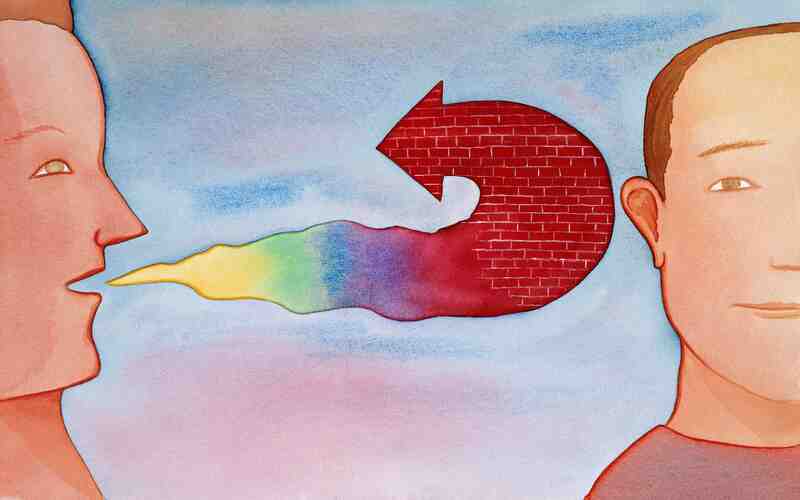 Open conversations will flow more naturally this way, seeds will be gently planted and not forced into unready soil, and overall bridges will take the place of walls that so often impede meaningful relationships. It is my hope that the Evangelical will always be looking to extend the hand of true friendship and service, whether among neighbors, coworkers, classmates, or strangers. The quickest way for the Holy Spirit to work in the lives of those present will be in an environment where the love of Christ is fostered. 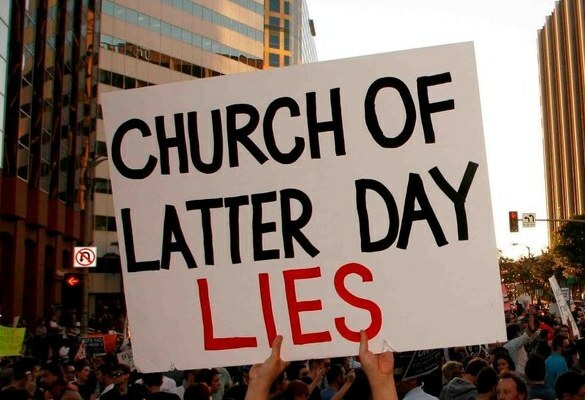 This entails a lifetime commitment to the cause for the Evangelical, and I would remind them that any potential conversions will never be the result of their own efforts, their own rhetoric, arguments, or criticisms of Mormonism. Rather, it is the result of the Grace of God alone that an Evangelical must look to in touching the hearts and lives of Mormons. If you ever find yourself impatient or irritated, if you ever feel like no matter what you do or say that the Mormon just won’t budge, stop! Trust in God, say a prayer, and refocus your efforts on making a positive experience in the life of the Mormon. If it is meant to be, then as a Mormon, I believe that hearts and beliefs can change. Finally, never ask or expect of a Mormon what you wouldn’t do yourself. If you wish to invite a Mormon to your church service, then offer to attend their sacrament meeting as well. If you want to do a close read of the New Testament with them, likewise offer to read the Book of Mormon. Remember the Golden Rule and trust in the power of God to bring souls to Christ. I am a fully believing and active Mormon. I hold a temple recommend and will be serving a mission in the coming months for the Church of Jesus Christ of Latter-day Saints. Most importantly, I am a firm believer in God’s Plan for all His children and I believe that this plan includes both Mormons, non-Mormons, and ex-Mormons alike. My hope and prayer is for members of the Evangelical community to foster better relations with the Mormon neighbors built on feelings of mutual respect, love, and true fellowship. Hopefully, as a Mormon, I have been able to offer reflections on the various forms and techniques of outreach to members of my faith community, and ultimately what I find most effective. At the end of the day, it is all about the relationships we have and the Work of Christ in our lives that will make the difference. This is something that I find both Evangelicals and Mormons to be in full agreement on, and if such is our focus, I have full faith that everything will work out in the end. Jaxon Washburn is an 18-year old faithful member of the Church of Jesus Christ of Latter-day Saints. After being raised in an interfaith household for part of his life following his mother’s departure from Mormonism to Evangelical Christianity, Jaxon has been acquainted and involved with Mormon-Evangelical dialogue and relations for many years now. Jaxon will be attending the Barrett Honors College at Arizona State University to major in Religious Studies in fall 2017. This will be prior to serving his 2-year Mormon Mission. All this while continuing his hobbies of interfaith dialogue, Mormon and Christian Studies, and the occasional dabble in Mormon apologetics. Yep, he’s busy! He has a clear passion for the interfaith movement and religious studies: He founded and has led the World Religion and Tolerance Society, a high school interreligious student group built around the values of respect, openness, cooperation, and understanding among individuals of various religious and nonreligious backgrounds, since 2014. This has allowed him to speak at venues such as the Parliament of the World’s Religions in Salt Lake City, UT; the United Nations in New York City; and many others on the topic of youth involvement in the interfaith. You can follow his journey and writings from on his personal blog at The Apotheosis Narrative. 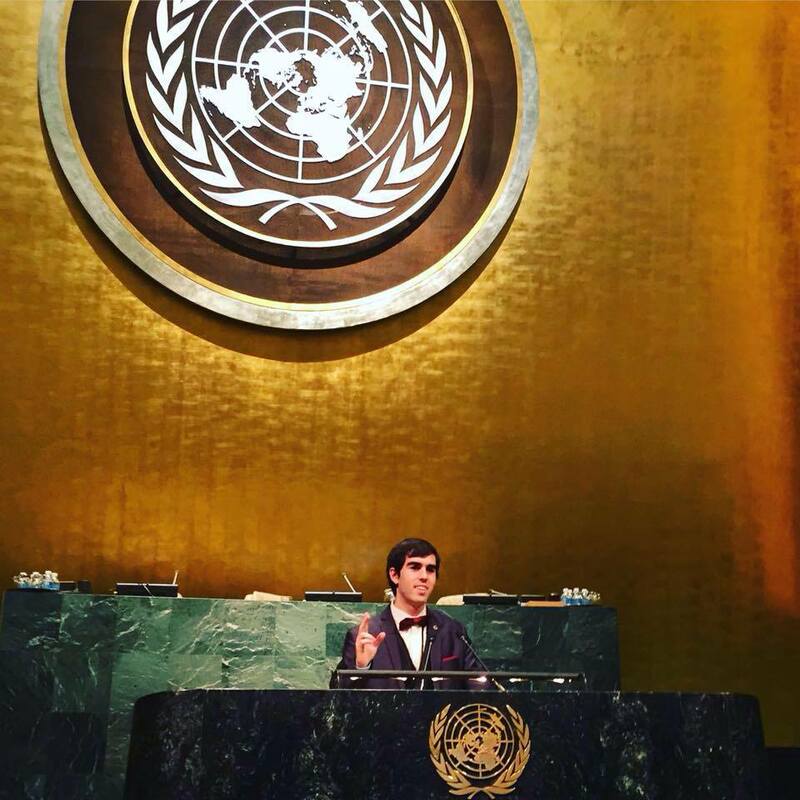 The author speaking at a United Nation Youth Conference on Interfaith Relations in February 2017. An Eastern Orthodox icon depicting the theosis of the saints. As even a cursory glance at early Christian thought reveals, the idea that man might become as God—known in Greek as theosis or theopoiesis—may be found virtually everywhere, from the New Testament through the writings of the first four centuries. Church members take seriously such passages as Psalm 82:6, John 10:33–36, and Philippians 2:5–6, in which a plurality of gods and the idea of becoming like God are mentioned. According to an ancient formula, “God became man that man might become God.” Early Christians “were invited to ‘study’ to become gods” (note the plural). BYU professors Daniel C. Peterson and Stephen D. Ricks in a 1988 issue of Ensign, have often expressed a kinship to Eastern Orthodoxy in that branch of Christendom’s use of the term “deification.” Peterson and Ricks traced deification to such early church fathers as Irenaeus (second century a.d.) and to the notion of theosis, which is “very much alive” in the Greek and Russian Orthodox Churches. ‘It is clear to me that C. S. Lewis understands the doctrine of theosis in essentially the same way as the Orthodox Church does; indeed, he probably derived his viewpoint from reading such Greek Fathers as Athanasius. On the other hand, the Mormon view is altogether different from what Lewis and the Orthodox Church believe. Orthodox theology emphasizes that there is a clear distinction—in the current phraseology “an ontological gap” — between God the Creator and the creation which He has made. This “gap” is bridged by divine love, supremely through the Incarnation, but it is not abolished. The distinction between the Uncreated and the created still remains. The Incarnation is a unique event. So who’s right and who’s wrong? Let’s let our Eastern Orthodox friends speak for themselves, shall we? 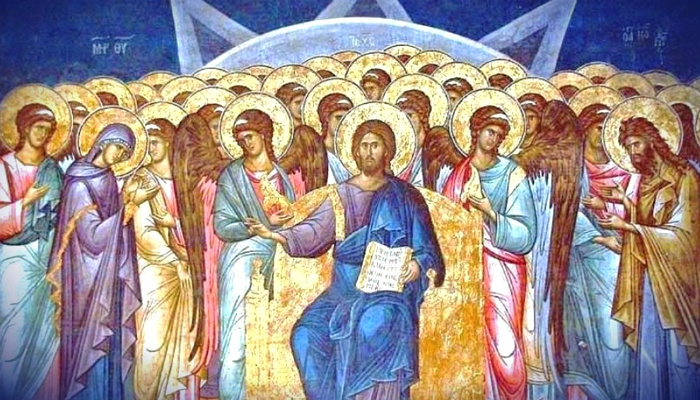 What follows, in its entirety, is an essay on Deification from The Orthodox Study Bible which was written by Eastern Orthodox theologians for Eastern Orthodox readers. It explains plainly, in layman’s terms, exactly what the Eastern Orthodox doctrine of deification is and is not. Deification is the ancient theological word used to describe the process by which a Christian becomes more like God. St. Peter speaks of this process when he writes, “As His divine power has given to us all things that pertain to life and godliness . . . you may be partakers of the divine nature” (1:3,4). What does it mean to partake of the divine nature, and how do we experience this? To give an answer, let us first address what deification is not, and then describe what it is. What deification is not. When the Church calls us to pursue godliness, to be more like God, this does not mean that human beings become divine. We do not become like God in His nature. That would not only be heresy, it would be impossible. For we are human, always have been human, and always will be human. We cannot take on the nature of God. St. John of Damascus makes a remarkable observation. The word “God” in the Scriptures refers not to the divine nature or essence, for that is unknowable. “God” refers rather to the divine energies— the power and grace of God that we can perceive in this world. The Greek word for God, theos, comes from a verb meaning “run,” “see,” or “burn.” These are energy words, so to speak, not essence words. In John 10:34, Jesus, quoting Psalm 81:6, repeats the passage, “You are gods.” The fact that He was speaking to a group of hypocritical religious leaders who were accusing Him of blasphemy makes the meaning doubly clear: Jesus is not using “god” to refer to divine nature. We are gods in that we bear His image, not His nature. What deification is. Deification means we are to become more like God through His grace or divine energies. In creation, humans were made in the image and likeness of God (Gn 1:26) according to human nature. In other words, humanity by nature is an icon or image of deity: The divine image is in all humanity. Through sin, however, this image and likeness of God was marred, and we fell. When the Son of God assumed our humanity in the womb of the blessed Virgin Mary, the process of our being renewed in God’s image and likeness was begun. Thus, those who are joined to Christ, through faith, in Holy Baptism begin a process of re-creation, being renewed in God’s image and likeness. We become, as St. Peter writes, “partakers of the divine nature” (1:4). Because of the Incarnation of the Son of God, because the fullness of God has inhabited human flesh, being joined to Christ means that it is again possible to experience deification, the fulfillment of our human destiny. That is, through union with Christ, we become by grace what God is by nature— we “become children of God” (Jn 1:12). His deity interpenetrates our humanity. I think it’s important to note, at the risk of being overly didactic, that neither Mormons or Mormon Doctrine was on the radar when this essay was written – the authors simply couldn’t have cared less about addressing either. It is what it is, nothing more and nothing less: An article written for use within Eastern Orthodox congregations and for the personal edification and education of their parishioners. And in doing so it utterly discredits Mormon Apologist claims that Eastern Orthodox Deification/Theosis teachings are in any way equivalent to modern Latter-day Saint Celestial Exaltation doctrine. Misrepresenting the theology of others in this manner does nothing to bridge that divide – in fact, it only makes it worse. Therefore, I would politely and respectfully encourage our Mormon Apologist friends to stop doing so. 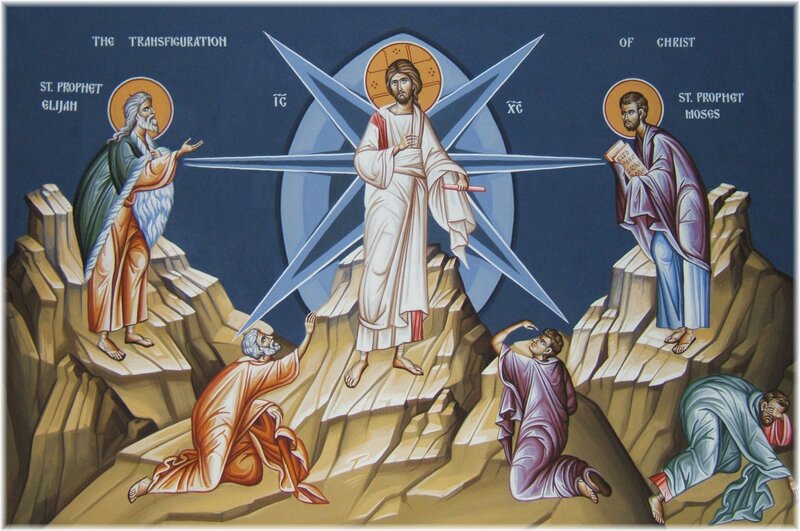 A Serbian Orthodox fresco of The Transfiguration. In Eastern Orthodoxy, the Transfiguration is considered to be a foreshadowing of the theosis that is possible for all saints. 1 From the LdS Church’s official, correlated Church Manual, “Teachings of Presidents of the Church: Lorenzo Snow”, p.68. 3 Daniel C. Peterson and Stephen D. Ricks, “Comparing LDS Beliefs with First-Century Christianity”; Ensign, March 1988. 4 Richard & Joan Ostling, “Mormon American (Rev. Ed. )”; Nook Edition positions 356-357. 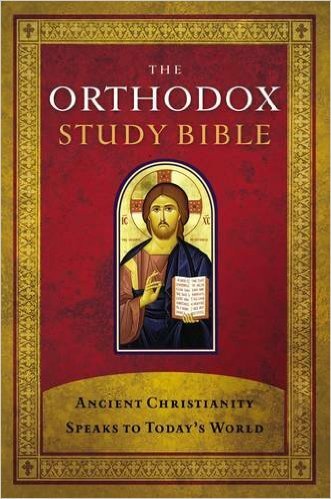 5 “NKJV, The Orthodox Study Bible, eBook: Ancient Christianity Speaks to Today’s World“, Kindle Locations 104077-104110. 6 Op cit, Ostling, Nook Edition position 341.